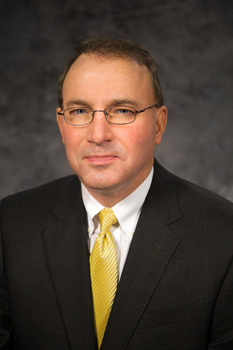 Brian Cameron is the Associate Dean for Professional Graduate Programs in the Smeal College of Business at the Pennsylvania State University and is the Founding Director of the Center for Enterprise Architecture in the College of Information Sciences and Technology. Dr. Cameron is also the Founding President of the Federation of Enterprise Architecture Professional Organizations (FEAPO) and designed and implemented the first online Enterprise Architecture master’s program in the world. He has worked with a wide portfolio of companies on a variety of consulting engagements ranging from large systems integration projects to enterprise architecture planning and design. Dr. Cameron was awarded the NPA Career Achievement Award in 2011 for efforts related to the founding of the Federation of Enterprise Architecture Professional Organizations, the building of the Center for Enterprise Architecture, and associated service to the enterprise architecture profession. Dr. Cameron has served on the boards and working committees of a number of international professional organizations and journals and is currently a special academic advisor to the Business Architecture Guild. In his current role as Associate Dean for Professional Graduate Programs, Dr. Cameron is leading the design and implementation of a new portfolio of online and resident professional master’s programs and graduate certificates. Professional master’s programs include inter-college collaborations with several Penn State colleges (Liberal Arts, Education, IST, Engineering, Health and Human Development, and others). Part of this portfolio consists of the redesign and launch of the inter-campus online MBA program. Dr. Cameron is leading a marketing strategy and branding initiative to better position the evolving portfolio of professional graduate programs in the increasingly competitive marketplace. He has reorganized the current MBA program office structure to create a professional graduate education programs office to provide shared services to all programs. Shared services include recruiting/marketing, admissions, advising, student organizations, diversity, mentoring, tutoring, career services, employer relations, and alumni services and relations as well as reorganized financial reporting and management associated with professional graduate programs. Dr. Cameron is successfully leading and managing significant change in a multi-campus, multi-college environment. He led the formation of new faculty and departmental governance structures for professional graduate education and was appointed by the Provost to the Transforming Education Task Force for the Future of Online Learning and World Campus. Dr. Cameron was recently selected to attend the Big 10 Academic Alliance’s Academic Leadership Program and is currently exploring new pedagogical approaches for online and hybrid graduate professional education and faculty development. Develops additional capabilities for justifying Enterprise Architecture decision making. Develops additional capabilities for leading, communicating, andimplementing Enterprise Architecture. Theoretical foundations and practice of enterprise architecture. Problem-based approach to technology integration by focussing on real-life problems faced by an organization. Applying fundamental concepts of computer networking to design effective networks for educational purposes. Advanced course on the integration of information technology into systems applications. Explores and applies the basic concepts, methodologies, tools, and techniques of consulting and professional service organizations in information sciences and technology. Introduction to technology forecasting and analysis; overview of leading technologies in IST and how they impact information systems and users. Cameron B. H., Clark S. M., "Business Process Portfolio Management: A Strategic Alignment Perspective." 2012, pp. 18-31. Purao S., Cameron B. H., "Enterprise Architecture and Integration: Principles and Practice." 2012. Cameron B. H., Purao S., "Enterprise Integration: An Experiential Learning Model." vol. 8, no. 38, 2010, isedj.org/8/38/index.html.